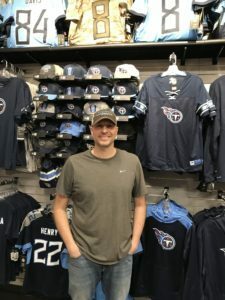 KNOXVILLE, TN – Brad Holt has dreamt of opening his own sports store for years. In 2014, he left his steady paying job to begin his own sports e-commerce business. Success came slow and steady as he found his footing as a buyer and operator. The husband and father of two stocked away cash for four plus years in order to open his own Pro Image Sports store. 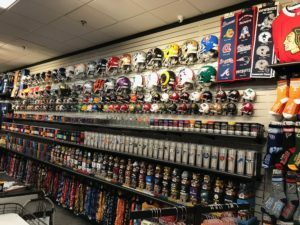 Seeking unique gifts for the sports fan in your life this holiday season? The new Pro Image Sports in West Town Mall has it. 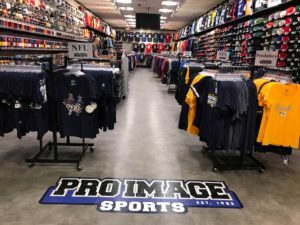 That day has finally arrived as Brad opened the doors today to his Pro Image Sports at West Town Mall in his hometown of Knoxville. Brad Holt is a huge fan of the Tennessee Volunteers and Titans. Now he gets to talk and sell sports everyday at his Pro Image Sports store.